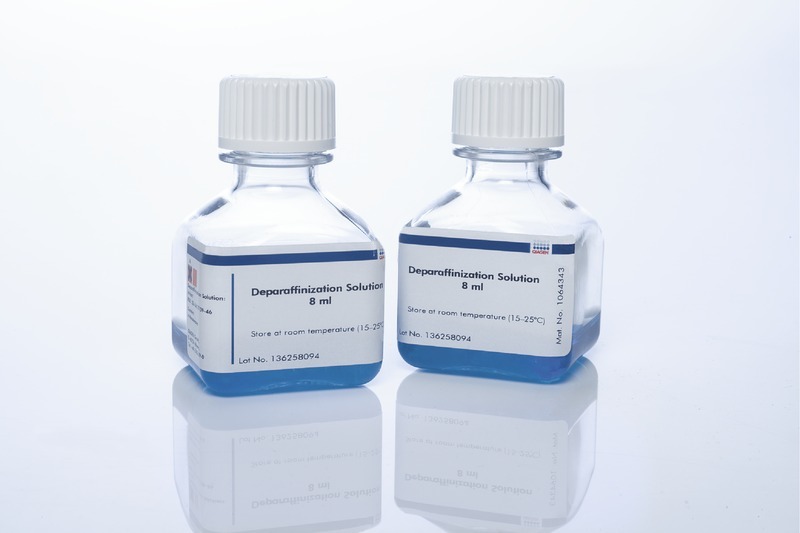 Deparaffinization Solution is optimized for deparaffinization prior to DNA or RNA purification from formalin-fixed paraffin-embedded tissue sections. After addition to an FFPE sample, the solution remains on the sample while proteinase K digestion is carried out. It is uneccessary to pellet the FFPE sample after addition of Deparaffinization Solution or to remove paraffin-containing supernatant. 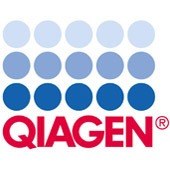 QIAGEN's Deparaffinization Solution is non-odorous and is easily tracked with its blue tracer dye. The Deparaffinization Solution is part of the EpiTect Plus Bisulfite Kit and may also be used with the QIAamp DNA FFPE Tissue Kit, RNeasy FFPE Kit, miRNeasy FFPE Kit, the QIAsymphony RNA Kit, and the QIAsymphony DNA Mini Kit.